Homayoun Shajarian is one of the foremost classical Persian singersof his generation, and superb instrumentalist. 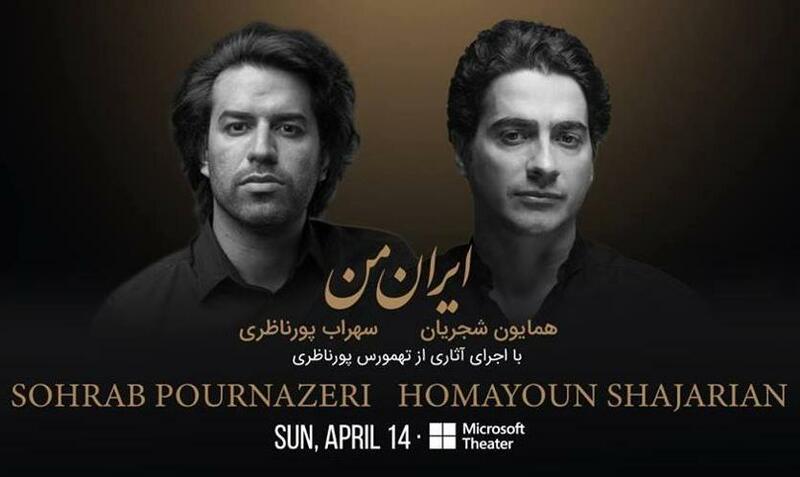 He will now visit Microsoft Theater in Los Angeles with the "Irane Man" (My Iran) Tour. There will be mix of classical Persian and Western music, arranged and composed by brothers Tahmoures and Sohrab Pournazeri. Irane manis Homayou's best selling tour in Iran with around 78 concerts throughout the country. Now it's time for United States to meet the superstar.